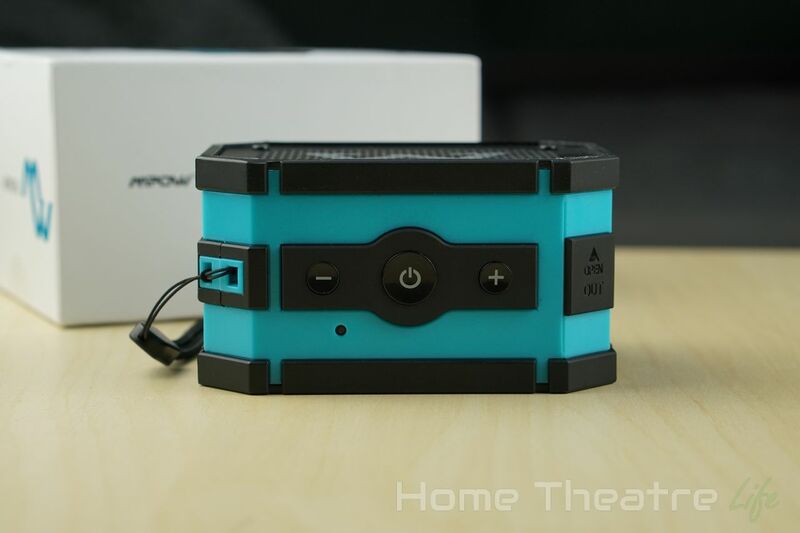 Home Reviews Mpow Armor Review: Rugged Bluetooth Speaker with Bite! 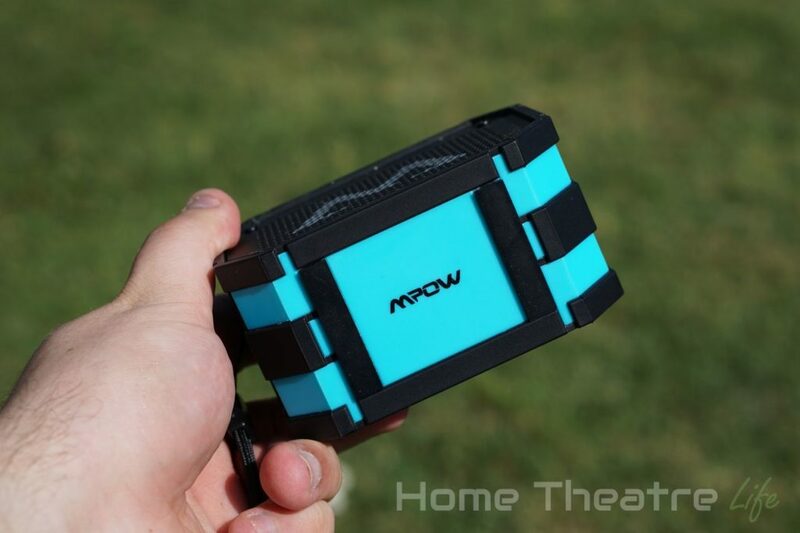 Mpow Armor Review: Rugged Bluetooth Speaker with Bite! The Mpow Armor is a tough little Bluetooth speaker. 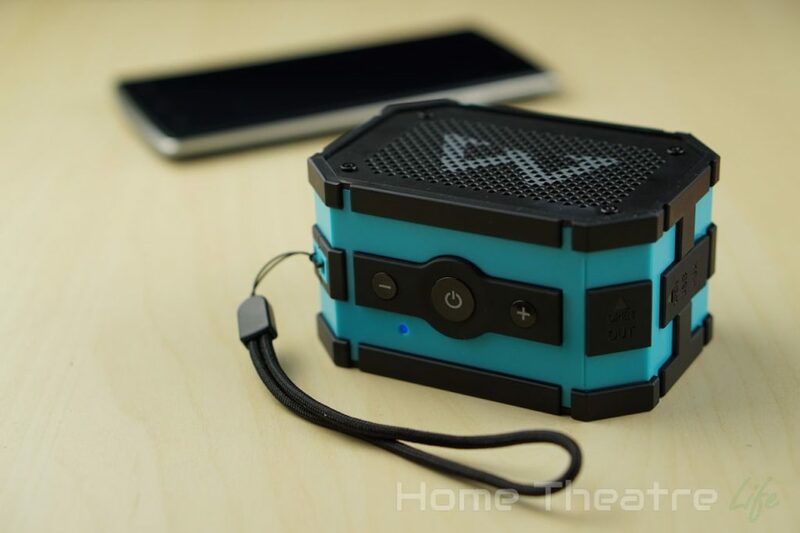 Packing a single 5W driver and dedicated subwoofer into its ruggedized case, is this the ultimate travel speaker? 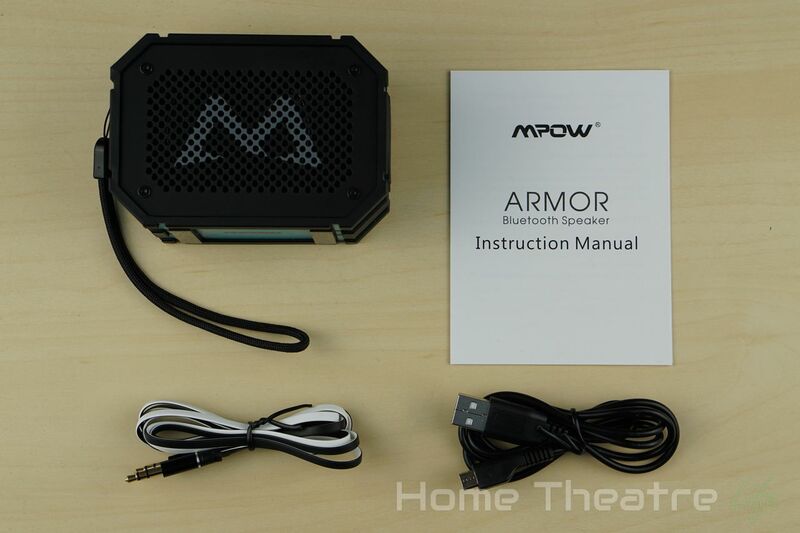 Read our Mpow Armor review to find out! I want to say thanks to Mpow for sending me a sample to review. The Armor’s available in two colors, orange and blue. The Blue variant is bright, drawing attention. It definitely won’t blend in at all. 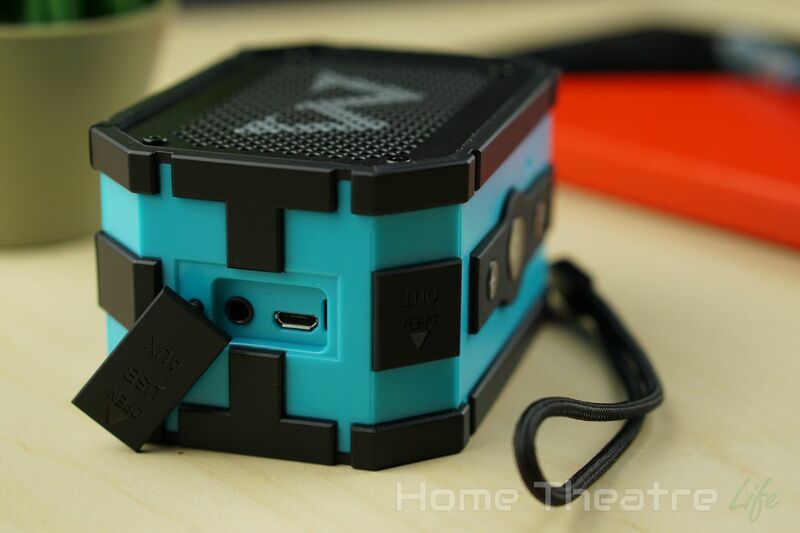 Then again, given the speaker’s rugged pedigree, you won’t lose the speaker when you’re out and about so the garish color scheme makes sense. The Mpow Armor screams durable. 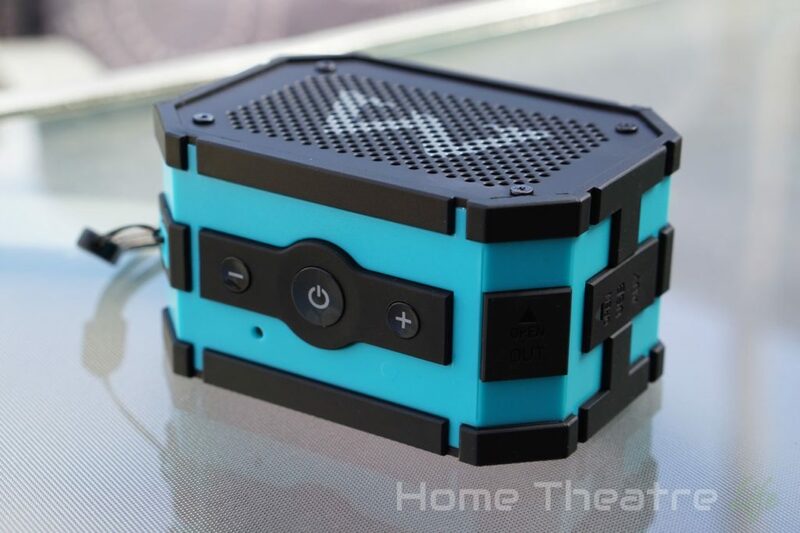 From it’s chunky geometric design to the black details, the Bluetooth speaker definitely seems to match its namesake. The black detail is actually thick rubber which act as both shock absorbers and grips to stop the speaker sliding around. The unit feels rugged so there’s no concerns about it falling apart. To help protect the speaker’s ports from the elements, the Armor’s ports are protected by rubber flaps. 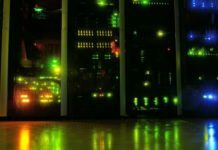 Mpow states that it’s IPX65 rated so it should be splashproof, shockproof and dustproof. Just don’t submerge it underwater. After a few tumbles to the ground and light rain, the Mpow Armor was unscathed though I’m not sure just how much punishment it can take. One flap hides the USB charging port that allows you to charge your smartphone using the speaker’s battery whilst the larger flap hides the micro USB charging port and 3.5mm audio input. The top of the unit features 3 buttons for power and volume control. However, they also double up as media controls but more on that later. 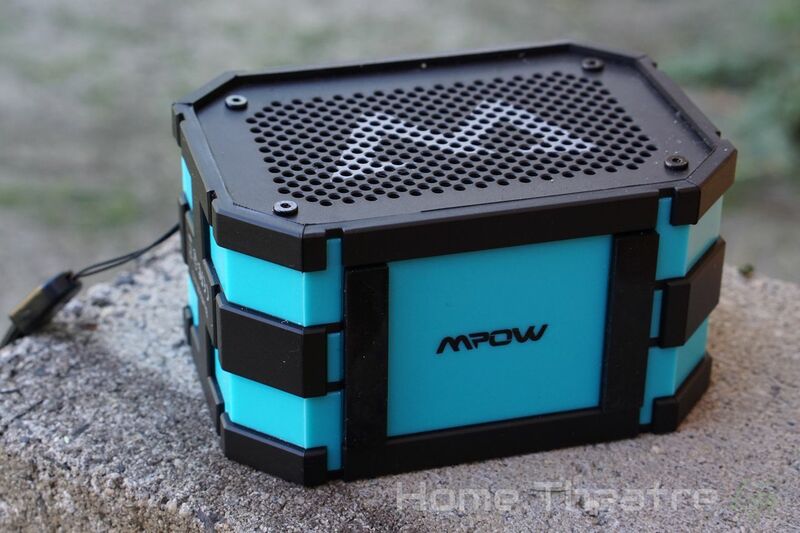 The speaker grills are technically the front and rear of the unit, with Mpow’s “M” logo prominently displayed. The rear speaker grill houses the subwoofer. Charging the speaker’s 1000mAh battery via micro USB takes a few hours. Holding down the power button for a few seconds boots it up, with the power LED flashing blue and red when it’s in pairing mode. Pairing is as simple as choosing “mpow armor” on your phone’s Bluetooth menu. There’s a horrible screech when the its paired. How Mpow decided it was a good pairing sound is beyond me. Thankfully, once it’s paired, you’ll never hear it again! The buttons are actually on the top of the unit, though it’s not clear until the unit’s actually playing back music. 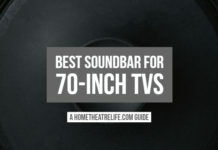 Make sure you’ve got it set up correctly, as it has a major impact on sound quality. Having it face up or face down blocks one of the speaker grills, negatively affecting sound quality. Speaking of buttons, volume is controlled via the +/- buttons on the unit. Interestingly, these control the device’s volume rather than your smartphone’s. 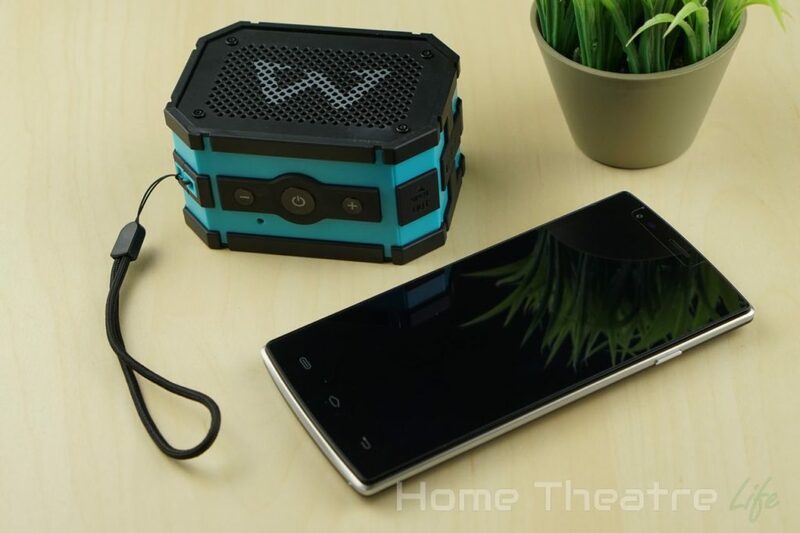 Thus, turning your smartphone and speaker’s volume to max allows for some impressively loud music from such a tiny package. Music playback can be controlled using the on-board buttons, with the volume and power buttons pulling double duty. Holding down the volume buttons will skip tracks whilst pushing the power button will play or pause the current track. If you don’t have a device that supports Bluetooth, you can connect your music player via the 3.5mm input. 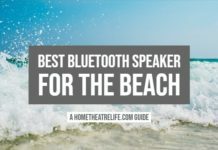 The speaker’s smart enough that it’ll automatically cut over to the wired connection which is handy. When using the direct cable, audio quality isn’t affected at all. However, music can’t be controlled using the unit’s buttons – but that’s expected. Battery life was solid. Mpow claims that the Armor should be good for around 10 hours and that seems about right. After around 5-7 hours of music playback, the batteries down to around 50% (according to the iPhone’s battery widget). 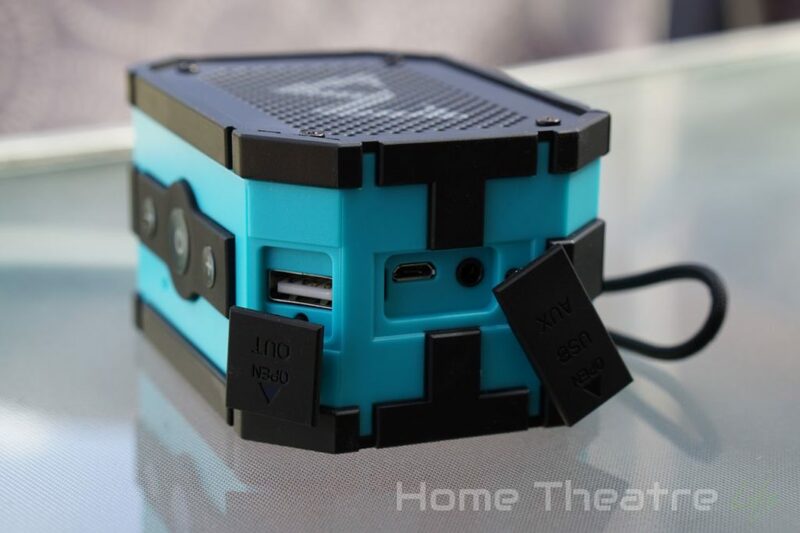 Speaking of batteries, that fullsize USB port can be used to charge your device. It’s only 1A (not to mention the battery is only 1000mAh) so it’s not going to replace a powerbank but its a handy feature. 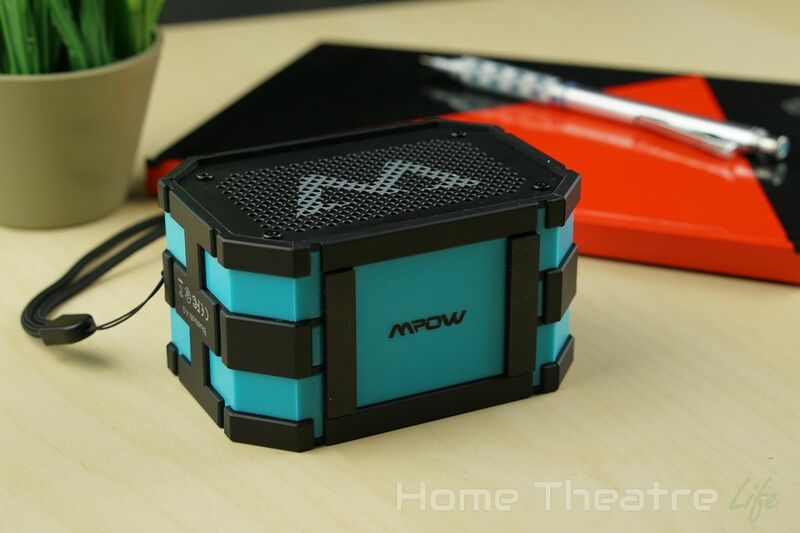 For such a compact speaker, I was impressed with the Mpow Armor’s sound quality. Music on the Mpow Armor sounds great. Highs and mids are slightly higher than the lows. 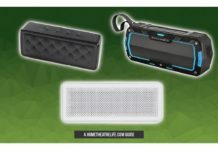 However, the dedicated subwoofer ensures that the sound doesn’t suffer the “tinniness” of other portable Bluetooth speakers. Jumping up to maximum volume does cause the highs to pull further ahead a little bit though it always sounds good. Distortion was non-existent during my testing. Regardless of how hard I pushed the speaker, it never distorted which is excellent. Speaking of volume, the Mpow Armor blew me away. I’ve dealt with some loud Bluetooth speakers but the volume this tiny unit outputs is amazing. It has no issues filling a medium to large room with music. It’s not going to replace a proper sound system but it’s a solid unit to have on hand. I was really impressed by the Mpow Armor. It’s well-made, durable and has the sound quality to match. 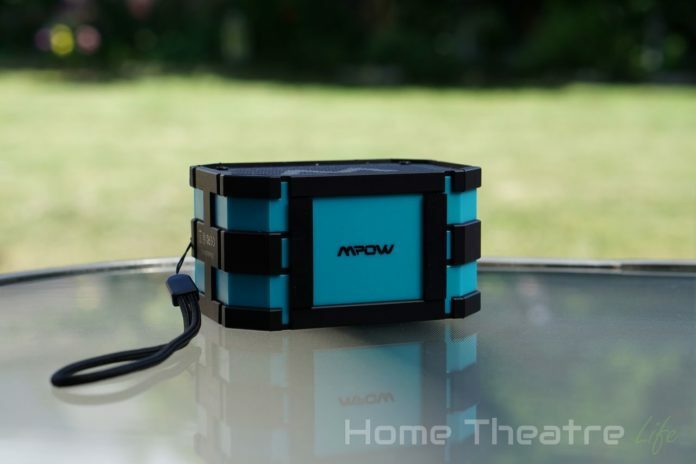 Those wanting a rugged speaker with plenty of power won’t regret buying the Mpow Armor. The Mpow Armor is available from Mpow’s official store. 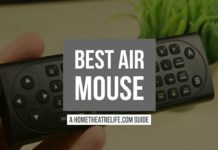 Alternatively, it’s available from Amazon and Gearbest. 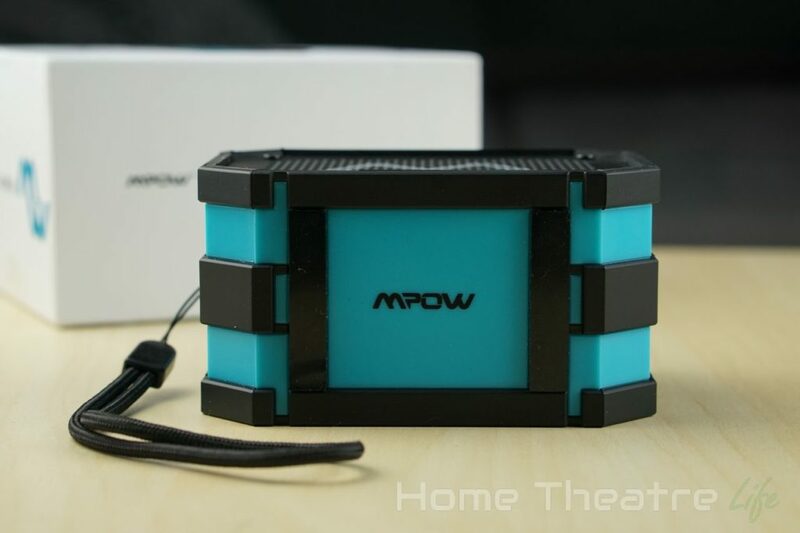 The Mpow Armor is an amazing little Bluetooth speaker with serious grunt and can take a beating too. Recommended!